As manager of the Romeo Medical Weight Loss Clinic, it’s Tracy Stefanides’ job to provide ongoing support, motivation and inspiration to her team and patients. An avid runner, Tracy encouraged a patient to work a few minutes of running into the walking routine he would do as he waited for his daughter to get out of dance class. She suggested that he switch between running and walking until he could run a full mile and that he build on it week by week. 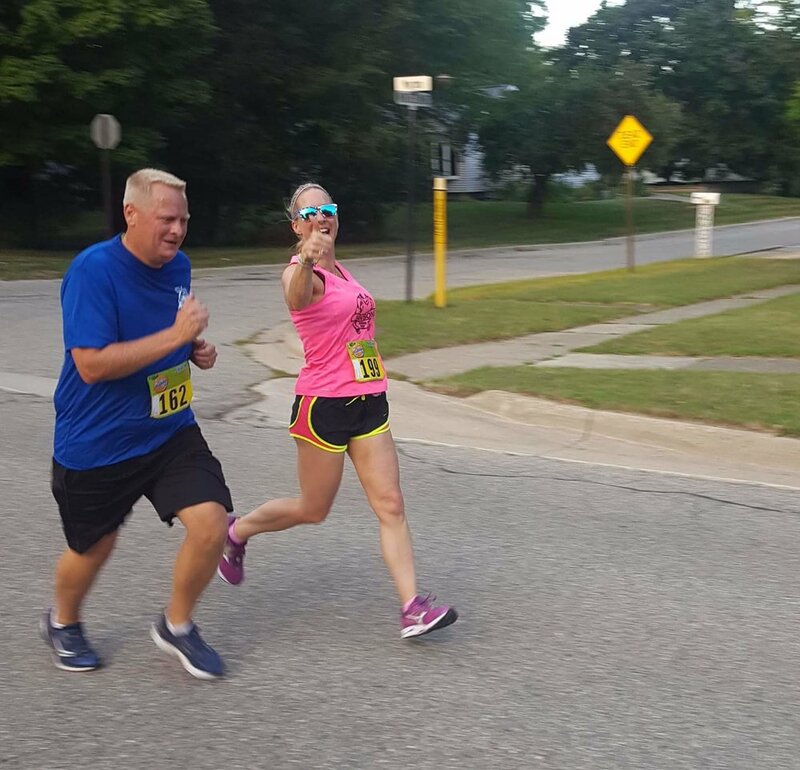 Before long, the patient asked Tracy if she would run the 5K at the Romeo Peach Festival with him, and she jumped at the chance. His goal was to complete the race in less than 30 minutes, so Tracy helped him keep a good steady pace throughout. “I kept encouraging him to keep going and told him he was doing great! Coming up to the end of the race as I looked at my watch, I knew he was going to not only hit his goal but CRUSH it by running a 29-minute 5K. I was beyond excited for him!” she says. The experience made her realize how helpful it can be for patients to hear about her own goals and how she works toward them. Tracy has always loved working with people, and in her role at MWLC, she thrives on helping them succeed on their health journey. To her, the best feeling is knowing that she changes lives, and she focuses on patients’ wins, whether it’s being able to tie their shoes, travel comfortably, get off a medication they’ve taken for years or even make the decision to take control and change their life with weight loss. “Their successes are my successes. And every success is exhilarating and makes me even more passionate to help,” she says. While running is a part of Tracy’s daily life, she also likes to travel with her boyfriend Joe and chihuahua Munchkin. She loves to explore other areas of the country to see what life is like there and to learn about its history. During her downtime, Tracy’s guilty pleasure is watching reality crime dramas, and she tries to solve the case before the end of the show. If you are ready to begin your weight loss journey with practitioners like Tracy who are passionate about helping you become your healthiest self, contact Medical Weight Loss Clinic for a free consultation at 248-353-8446 or click here to schedule online.